Okay, I’m beginning to understand why the cattlemen in the US protested the introduction of sheep. Shepherds obviously don’t have nearly enough to do. This is weird on sooo many levels. The floor is now open for attempts to connect this video to shepherding the Christian flock. Best attempts will be acknowledged in a future post. Until next time… try not to get fleeced. Why Did 1234567890 Day Matter? 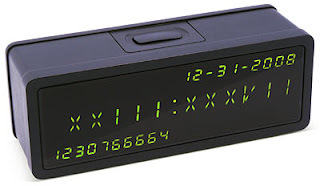 As the title of this post implies some of you have been asking, “Who cares if the Unix Epoch Clock reaches 1234567890? It doesn’t really affect anything.” And to be fair, that’s true, it doesn’t. But, it does provide an opportunity to gain a little numerical perspective. Like most of you I’ve been listening to all the numbers being bandied about regarding the stimulus/bailout/please-keep-our-collective-asses-out-of-the-fire package. It always strikes me odd the way people talk about $300 billion or $750 billion and most of us really have little concept about just how much money that is. We know it’ s a immensely huge amount of money, but can any of us in the everyday world relate to these kind of numbers. Well, consider this: Let’s say that back on January 1st, 1970 you and a few buds were asked to count out the $350 billion the government was planning to give the auto industry. So the lot of you started counting, working in shifts 24 hours a day seven days a week, every day of the year including leap year, counting at a rate of 1 dollar per second non-stop. I have often thought that when we stopped doing accounting by hand, with the endless hours of spreadsheet tabulations and the tickida-tickida-tickida of the adding machines ringing in our ears, and let the computers do it for us in the blink of an eye, we lost our sense of perspective on just how much we were spending. 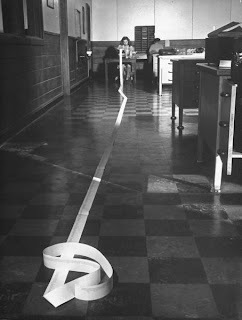 The quick flash of numbers on a screen does not compare to miles of paper tape rolling out of a desktop calculator to make us turn to the powers that be and cry, “Oh my GOD! Are you insane?” There’s just something about doing things manually that helps keep the universe in perspective. Well boys and girls, it’s Friday, February 13th and we all know what that means don’t we? No! Not the Triskaidekaphobia thing. By no means. No, today is the day that Epoch time hits a major milestone – let the partying commence! Geeks the world over will observe this moment in geek friendly pubs and taverns I assure you. What is Epoch time you ask? Well it’s actually a fairly simple thing primarily of interest only to Unix geeks. Back in the day when computing was young it was decided that some kind of universal time code was required to help keep all the world’s computing systems in sync. And so the word went forth and Coordinated Universal Time (UTC) was created. At midnight January 1st, 1970 the UTC clock was started and it has been ticking away ever since., one second at a time ignoring all the variances of human time (such as leap seconds) tracking the passage of universal time. Well today, over 1.2 billion seconds later, at about 6:30pm EST, the Epoch clock will read “1234567890” and Unix geeks will solemnly observe the moment. It is, I admit, only one second among billions, but hey – any excuse for a party right? If you’d like to observe the moment yourself you can find a countdown clock (count up?) HERE. And if your in the neighbourhood, here’s a short list of available celebrations – Enjoy!